Looking to get out of the house and have fun with the family? Or perhaps you want to take a special someone out for a unique, enjoyable date. 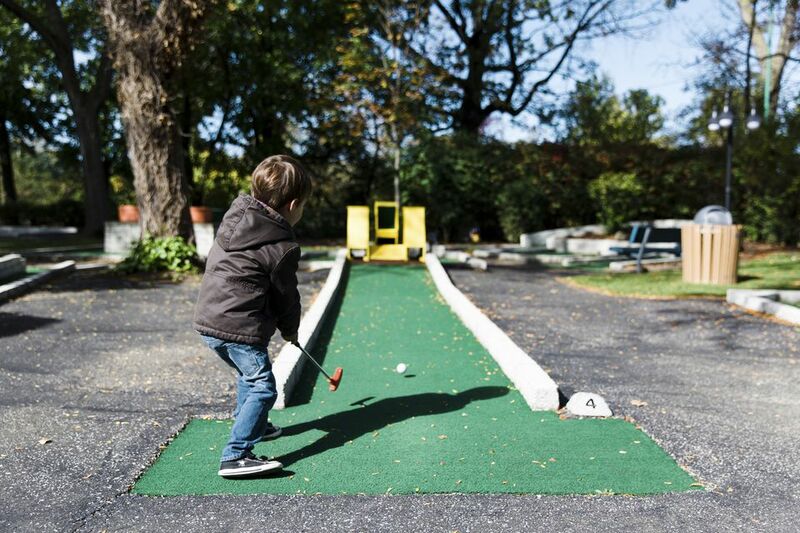 Miniature golf is a great pastime. Unfortunately, there aren't many places to play mini-golf in the Oklahoma City metro area; it's a dwindling business, it seems. But here is information on a few very good choices. HeyDay Entertainment Center in Norman, just south of Oklahoma City, is one of the top places to take kids. It has laser tag, arcade and more, and its miniature golf course is a good one, complete with sand and water on a well-manicured area. Trees provide shade on hotter days as well. Many in the area are likely familiar with Celebration Station, an entertainment center chain with locations in several states. With go-karts, bumper boats, arcade games and batting cage, it's a popular kid place, but the miniature golf is great for adults as well. There are three full 18-hole mini-golf courses at Celebration Station, and they are very well-designed, varied and challenging. The only indoor miniature golf course on this list, the Route 66-themed one at Warr Acres Incredible Pizza Company is small but perfect for one of those days where the weather is not cooperating for putting a round outdoors. The location used to be GattiTown, and now it's even better, a huge pizza restaurant and family fun center in northwest OKC with go-karts, bounce house, roller coaster ​and video games. It's a bit of a drive from Oklahoma City, about 45 minutes or so east along I-40, but there's a miniature golf course in Shawnee. Located just west of the FireLake golf course on the south side of town, it's relatively simplistic in design but fun nonetheless. The covered area has picnic tables and benches.